Now, I would like to introduce myself. I was born and raised in Japan, and I majored in Japanese literature. 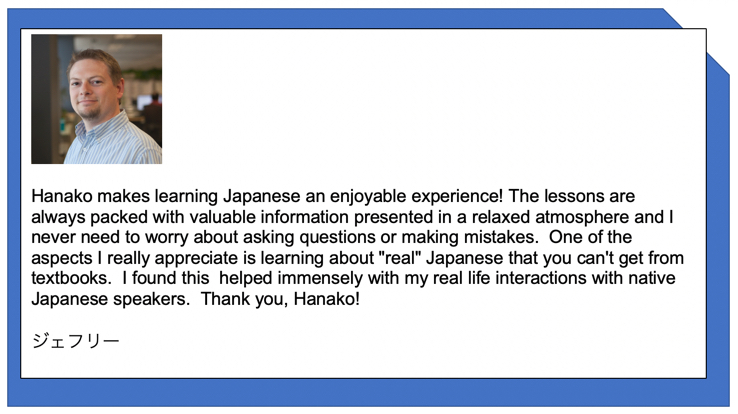 I have lived in Japan since the summer of 2018, though, I have worked at a Japanese Bank in the United States as a credit analyst for the past 15 years. Although I love Japanese literature, I am good at buying stocks. I consider myself a stock trader as well. My daughter was born and raised in America, and she helps me edit my English. She is a college student UC Berkeley near San Francisco. If you become premium member, you will have access to all links. All about the Premium Membership! Sign Up for Free e-Newsletter, and Get a Free e-Book! How is your study going? 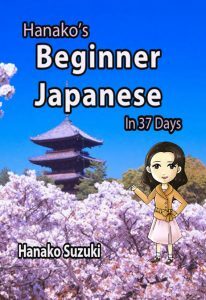 You don’t know how to start learning Japanese? 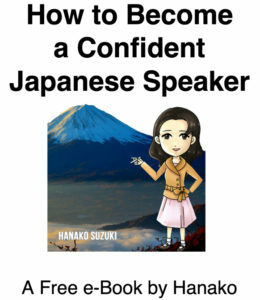 Or you are struggling to continue learning Japanese? 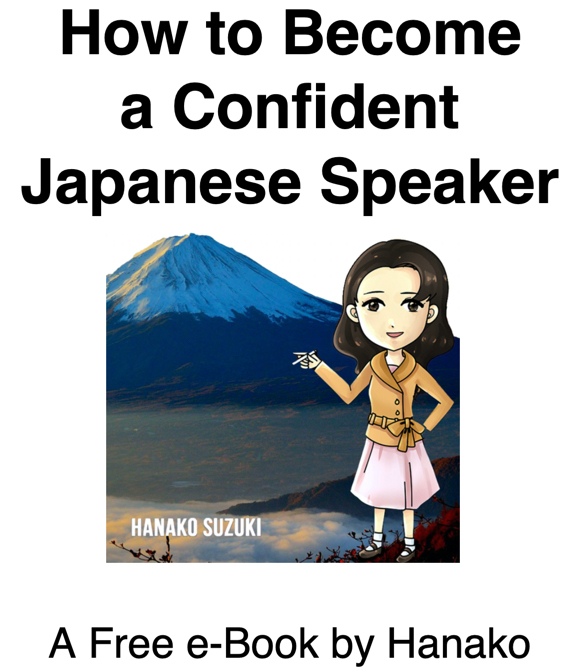 It’s written in Japanese (with furigana) and English which was edited by native English speaker, so even if you have no problem to continue learning Japanese, it would be good material for you to learn Japanese! 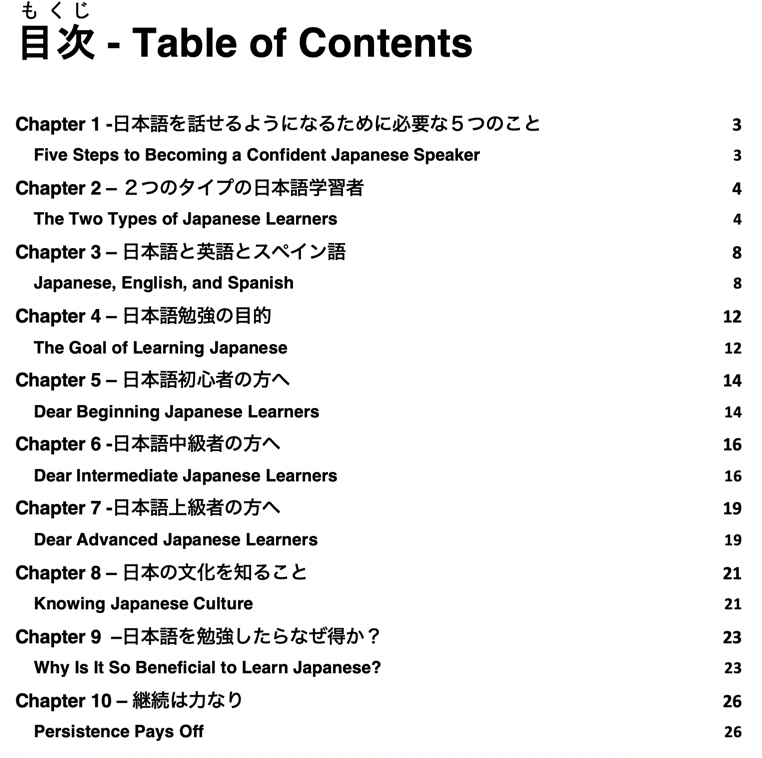 What are current Japanese students saying? 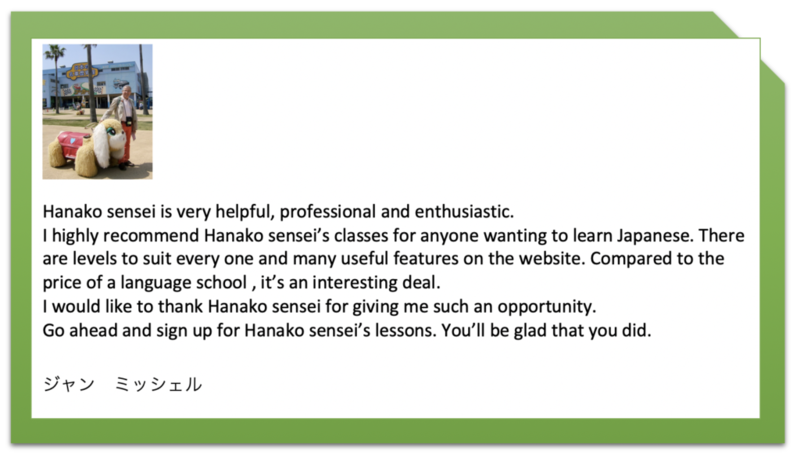 For Class Info, Please click here!